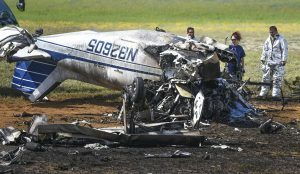 Three people are dead after a small aircraft crashed at the Laredo International Airport in Texas on Thursday morning. Operations at the airport were suspended Thursday as a result of the incident. Authorities are investigating the scene. The National Transportation Safety Board has been notified of the incident, according to the Morning Times, and will oversee the investigation going forward.